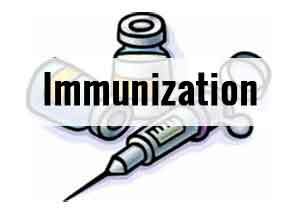 Chandigarh: Haryana Health Minister Anil Vij said that an immunization campaign would be organised on November 22 and December 22 in Rewari district, for complete immunization of children, so that 90 per cent of children are immunized in the district by December, this year. In this regard, a meeting was held under the chairmanship of Ms Amneet P Kumar, Managing Director, National Health Mission, Haryana, here on Monday. During the meeting, directions were issued to the concerned officers to appropriate steps, for the success of the immunisation campaign. The campaign would be organised in three phases that is October 22, November 22 and December 22. Its first phase has already been completed successfully on October 22, in which the department had achieved 18 per cent more than the fixed target, for the immunisation of children and pregnant women. The Union Ministry of Health and Family Welfare had released a list of 75 districts of the country, having immunisation coverage less than 50 per cent. That list included only Rewari district of Haryana, where special immunisation campaign was required. Under the Mission Inderdhanush, for the success of this campaign, responsibilities had been allocated to different departments. Special attention would be given to children and pregnant women living in brick kilns, remote areas and slum areas.